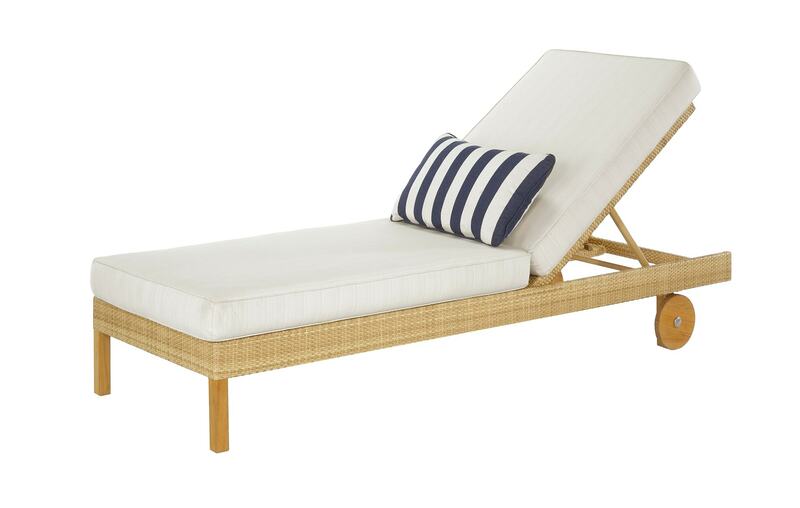 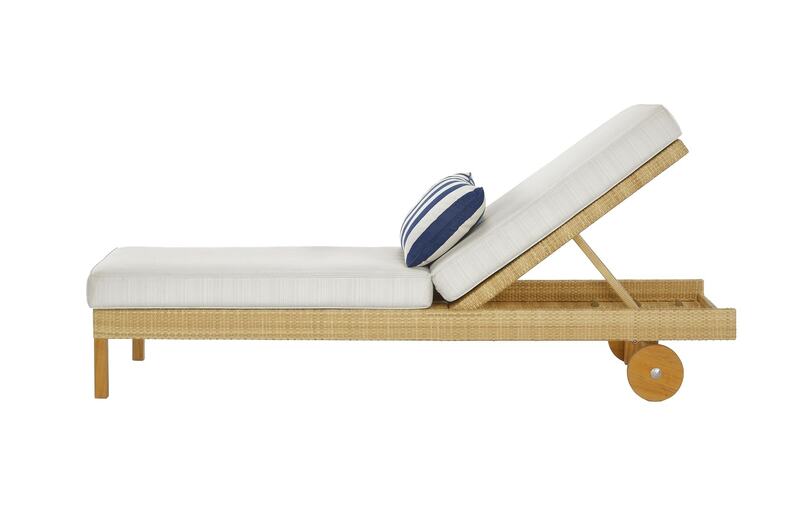 You can almost feel the warmth of the Mediterranean sunshine with the Riviera Sun Chaise, a majestic outdoor chaise longue crafted to impeccable standards. 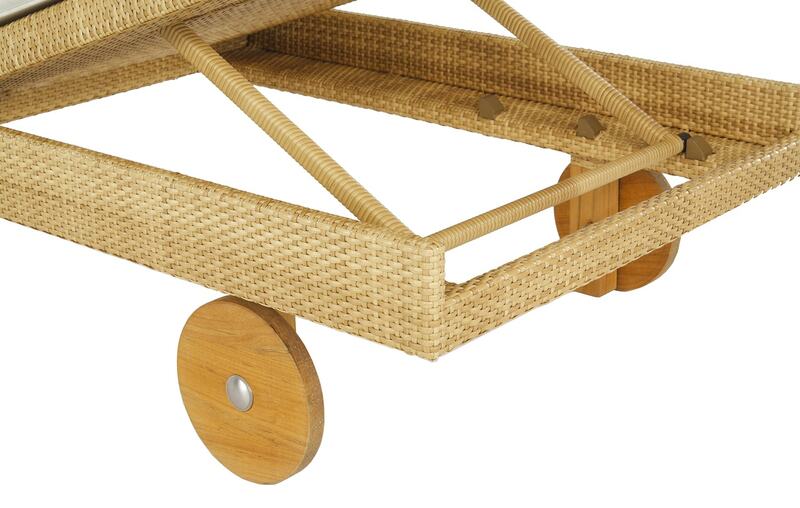 Featuring wheeled back legs for simple transportation, this piece is handmade with natural resin wicker. 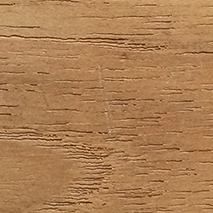 7 yards of customer’s own material required. 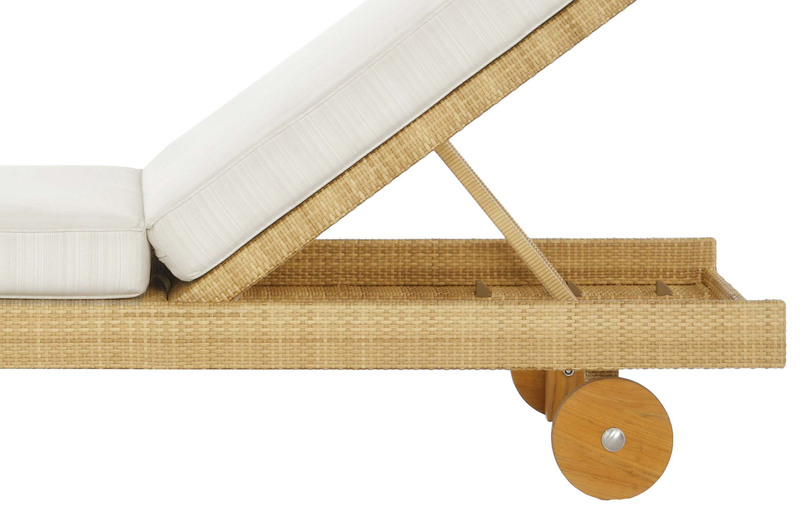 Created by Michael Taylor Designs, a California based studio with a reputation for crafting the finest outdoor furniture in the world. 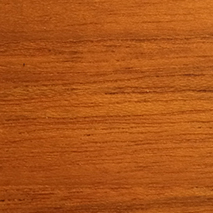 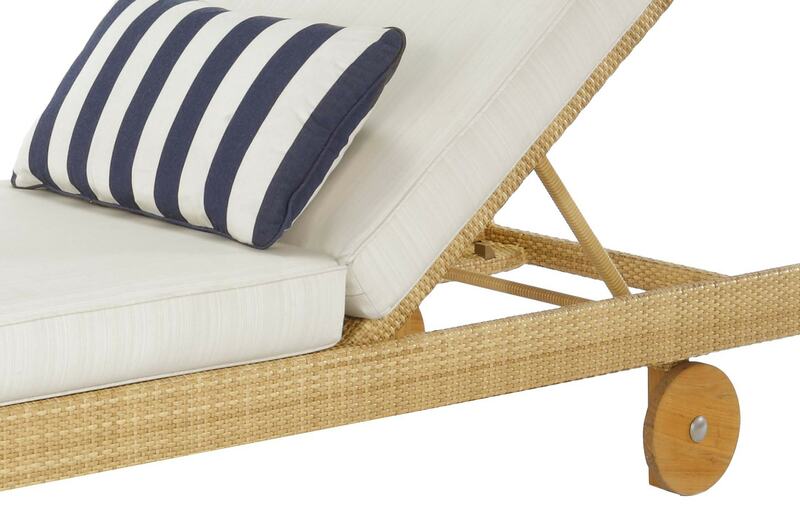 Available in Natural Resin Wicker, Oiled Teak and Unfinished Teak finishes.